Chennie Zin Oct 13 2018 9:36 am He is a good actor...Oppa fighting.. ..
Michele in US Aug 07 2018 5:21 am Love Lee Jaejung in this drama! Hope to see him soon in a new leading male role. Ken Jul 03 2018 1:42 am 'we love Mr Lee very much in MPS we love the character. Your fanS here in Phil..
Fp Jun 18 2018 11:33 am Lee Eun-Hyung is a great actor. He carries out his character very well & has great facial expression. Wish to see him more in the upcoming dramas. Taph Jun 08 2018 12:06 pm First time seeing him in Mysterious Personal Shopper. He is such a great actor and very handsome. I would like to see him more in the next coming dramas. Shnt Jun 02 2018 6:16 pm Never see him in any other drama and here I'm knowing that he only play in a few daily drama. His character in mysterious personal shopper really makes me in love. 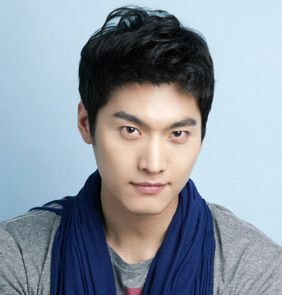 Always waiting his scene with park hana in the dramaa. Chong May 15 2018 8:37 am I meant I really love the lead actors in mysterious personal shopper..
Chong May 15 2018 8:35 am I really love the lead actors in mysterious personal shopper.. esp.lee eun hyung.. hope to see u in many other dramas also, as a lead actor.. my favorite actor,??? Chong May 15 2018 8:33 am I really love the lead actors.. esp.lee eun hyung.. hope to see u in many other dramas also, as a lead actor.. my favorite actor,??? Supha Apr 20 2018 10:53 pm He is a great actor, I am really like his role in this drama. Mysterious personal shopper ..
Jocelyn Kee Seok Choo Mar 30 2018 11:10 pm Lee Eun-Hyung is a good actor and I hope to see him in more dramas. YooahVicky7 Mar 16 2018 1:39 pm The man's hot hot! I love his acting in the series mystery personal shopper? Great drama by the way totally recommend it! sf Mar 07 2018 11:18 am Handsome man. Sue Nov 09 2017 5:53 am Leading role is necessary! Kanja Aug 11 2017 8:51 pm Very Stellar acting in Moogoonghwa Kkotyi Pieotseubmida I really love Lee Eun-hyung a lot, he has perfect chemistry with Nam Bora!! I remember him now from Padam Padam where he play younger version of Jung Woosung character Kangcheol he was so handsome in that drama. I think he has all tools to one day become a leading actor in a future production, keep up great work hyung!! sarang Aug 07 2017 10:19 am omg his eyes really lovely ilike his acting in lovers in bloom.